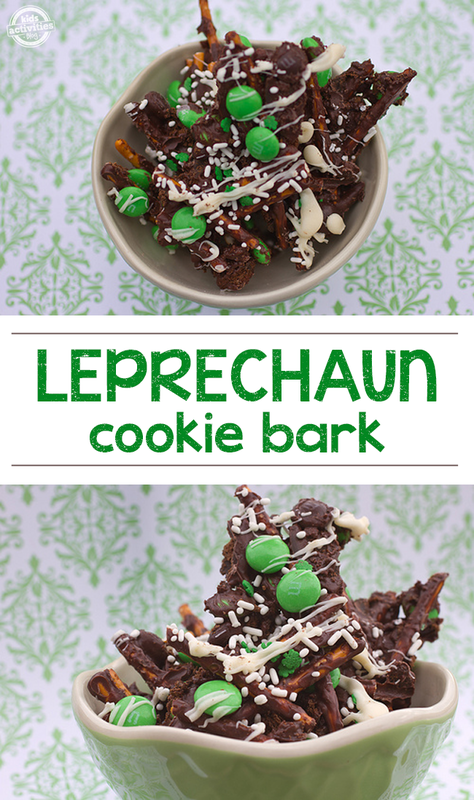 St. Patrick’s Day is right around the corner, and this cookie bark is the PERFECT treat to make with your kiddos! 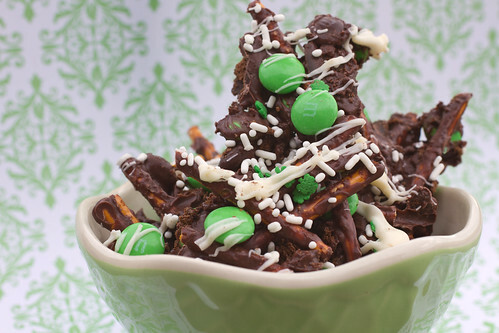 On a baking sheet lined with wax paper, evenly spread the pretzel sticks, M&Ms and Thin Mints. Reserve some M&Ms to sprinkle on top. Don’t have any Girl Scout cookies on hand? You could substitute Oreos for the Thin Mints. Melt the milk chocolate candy melts and spread the mixture evenly with a spatula. 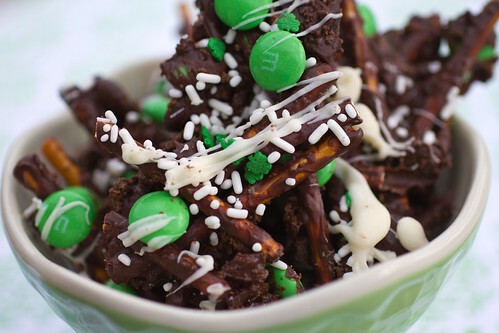 Sprinkle the shamrock sprinkles and reserved M&Ms on top. Drizzle with melted white chocolate candy melts. Allow the cookie bark to harden and break into pieces to serve.